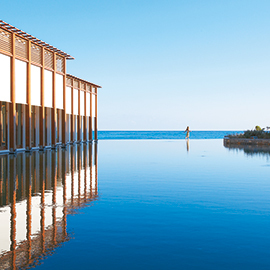 A sparkling exclusive resort inspired by the legendary Cretan hospitality. 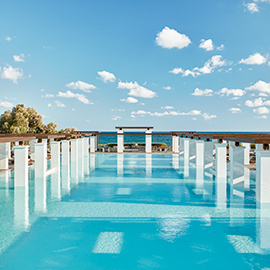 On a perfect location, with easy access to Crete Golf Club, Heraklion’s international airport and the world-famous Knossos archaeological site. Be pampered by the grand range of spacious, quality accommodation with designers’ furniture & luxurious amenities. Indulge in supreme and refined ambience, where soft colours and cool fabrics create a leisurely mood. Step out of your private villa onto a cove of fine golden sand lapped by pristine waters and surrounded by nature. 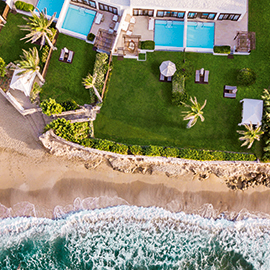 The villas feature indulgent high tech details, private gyms and state-of the-art bathrooms with colourtherapy and aromatherapy Jacuzzi bathtubs. 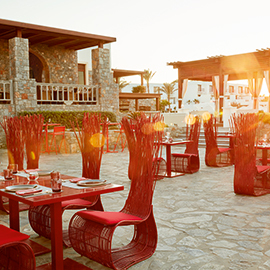 Located by the star-lit lagoon, Minotaur is an incomparable Italian restaurant of impeccable character featuring an amazing collection of genuine Picasso ceramics. Chilling out in Amirandes is bold & spectacular, full of music in live acts and super DJ shows. Relax at the sunken lounges of the Labyrinth Lagoon bar, enjoy a Tiki Cocktail at the sunset lounge bar by the beach or just take a sit at the open-air amphitheater. 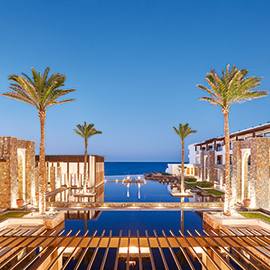 Diving, 3 tennis courts, water sports, aerobics & aqua gym, mountain biking, signature experiences around Crete and so much more…. 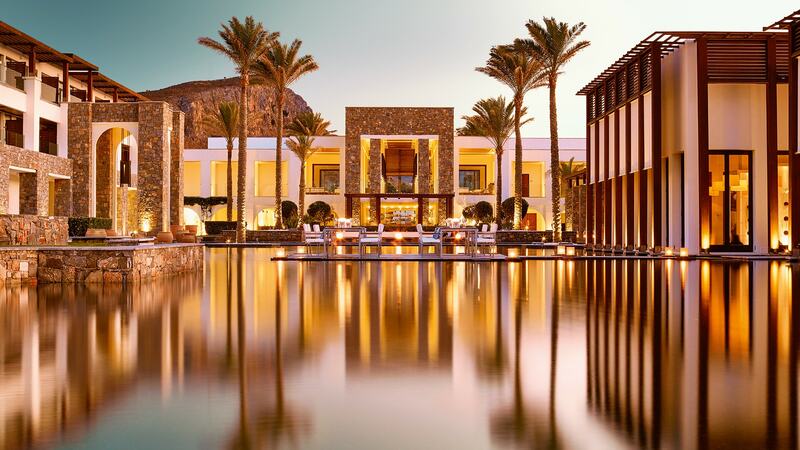 Dive into blue at the crystal clear sandy beach or on the awarded Olympic-sized Amirandes pool. Kids are treated like celebs at Amirandes! It’s all fun and games at the Kids Summer Camp, the beloved Grecoland kids’ club and numerous other dedicated programmes. 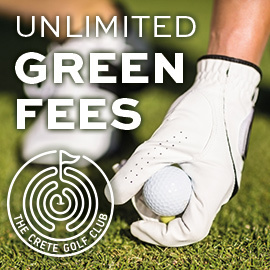 This season, Amirandes gifts all your green fees at the Crete Golf Club, when you book any type of room with us, no matter how many days you stay!